Soooo, I’ve been holding out on you. 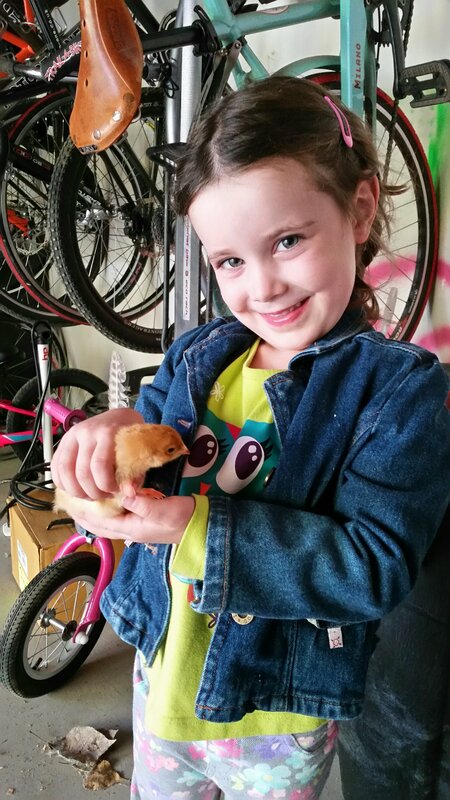 These little chooks will only be temporary residents here, though. 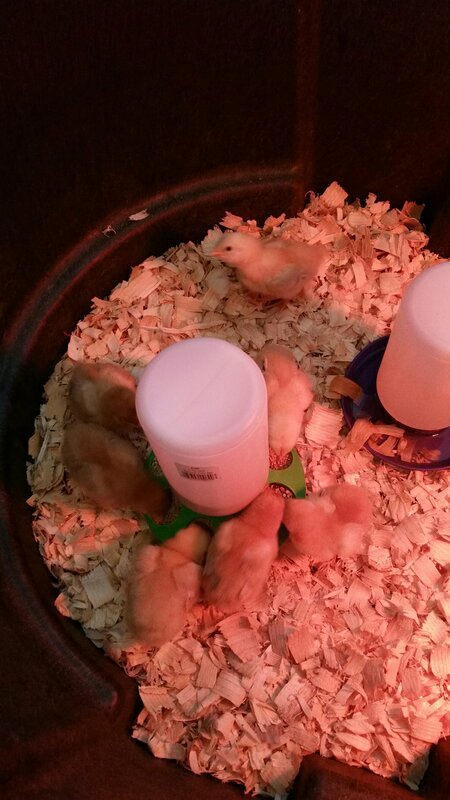 Brandon decided he wanted to try his hand at raising some meat birds, so he bought eight “Freedom Ranger” chicks from Tractor Supply a few weeks back. I will have to get some photos of what they look like now–they are growing incredibly fast! We’ve had them in a brooder in the garage, and they’re already big enough to hop on top of the waterer and then right on out of the brooder. 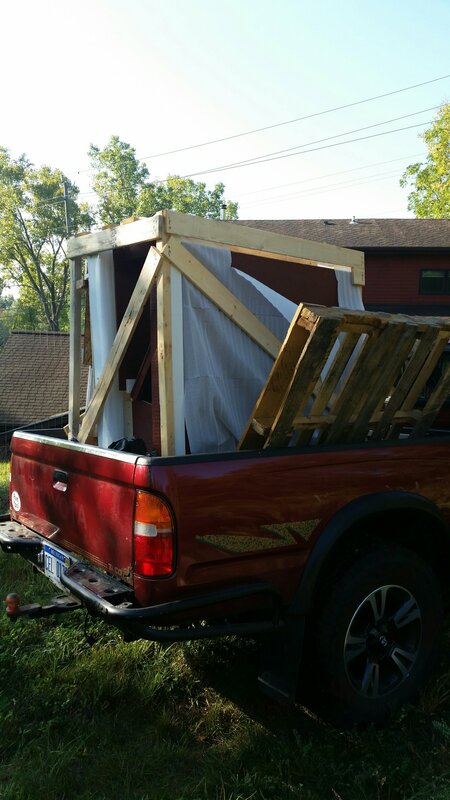 Clearly I obsessed over researched chicken coops a bit too long. I was hoping to find a used one on Craigslist, but everything I saw was either too small (good for 3-4 birds) or a combo coop/run. We just wanted a standalone coop, because we’re putting it back in the (fenced) garden where the birds will be able to (semi-) free range during the day. Given that it’s fall clean-up time, I’m not too worried about them inflicting damage… but if necessary, I’ll fence them out of the core garden area and just give them free reign in the perennial food forest section. 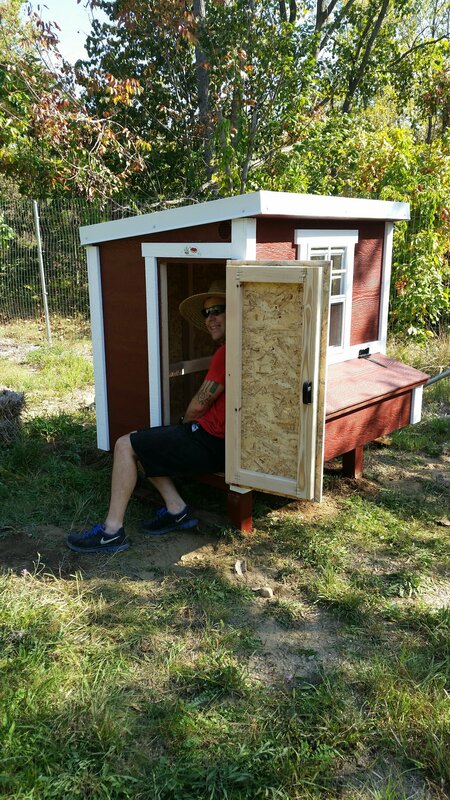 I finally settled on this one, the medium size OverEZ coop. Although a bit pricey, it definitely did live up to its promise of being VERY easy to assemble! The view from the entryway has gotten much more adorable. We still have to wrap up some finishing touches–I’d like to add flooring (probably vinyl sticky tiles) to protect the plywood from getting wet and gross, and I’ll probably also add hardware cloth to the window to keep everyone extra safe at night (the garden fence is definitely not predator-proof). I’m hoping to do those couple things in the next day or two–I’ll be sure to take some pictures of the chooks at home in their new digs once they’re moved in. …and no, this won’t be the end of our chicken adventure. We have a coop now, after all! 😉 We don’t want to worry about keeping birds through the winter this year, though, so we’re going to wait until spring and then get some heritage dual-purpose birds. So (surprising exactly no one) I’ve been doing a bunch of research on the many available breeds (the Livestock Conservancy has a great comparison chart here). My favorite Ohioan has his heart set on some Buckeyes, but I’m also interested in Dominiques and Wyandottes. I’d love to hear from folks that have experience with keeping dual-purpose breeds!